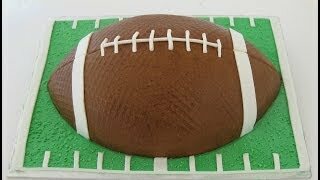 How To Make A FOOTBALL CAKE! Chocolate Cake & Italian Meringue Buttercream for the NFL Kickoff! 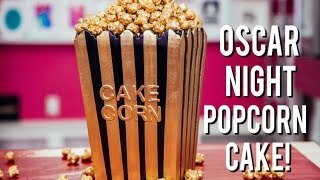 How To Make a POPCORN BOX CAKE for OSCAR NIGHT! Vanilla & Chocolate Cake with Gold Caramel Popcorn! 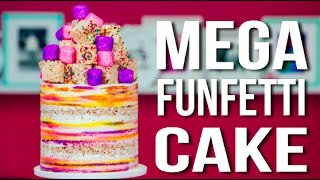 How To Make A MEGA FUNFETTI CAKE! Confetti Vanilla Cake with Sprinkle RICE KRISPIE TREATS! 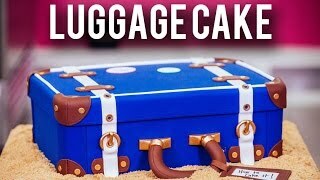 How To Make A LUGGAGE CAKE! Kick Off The New Year With Chocolate Cake & Three Types Of BUTTERCREAM! Hi, I'm Yolanda! Some people call me the Beyoncé of cakes. I post my drool-worthy, jaw-dropping caking creations every Tuesday at 11am EST! From novelty cakes that look like your favourite foods to my MEGA mash up cakes that have layers upon layers of goodness - I dream in cake! Got an idea for a cake? I'd love to hear it - subscribe & comment below! That's the most impressive cake I have ever seen. What is luster dust ? Anyone else think she missed the chance to do NCL on the cake instead of NFL? Why are they calling a rugby ball a football? AFL balls have laces as will. does she have chocolate on her face? Amazing. This is my first time watching your channel. Too funny. Love it! Dec subscribing. Wow that was amazing Work! You have the patients of a saint to make that little NFL emblem! I thought it was going to be edible paper!! Fantastic cake!! you should make another sports cake! you guys should totally go to a football game with jocelyn. it would be so funny!!!!! I love your video!!! Total life saver but lol since mines a bday cake for my step son who made the team at his school im making homemade chocolate fondant and doing kindof what you did exvept putting football figurines on top plus finding a place for the 14 bday candles. Thank you for helping me with making the cake. I dont have a matt though to make those bumps could i use end of a paintbrush to poke small circles in whole cake to give the detail? Can you make an Alabama cake? You should make a golf club, golf ball and tee jumbo sized! 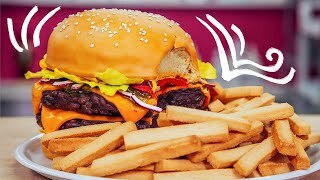 How did you make the grass on the cake board? Hey Yolanda, How I wonder where all the cake scraps go? Hi Yolanda, I must say I NEVER subscribe to videos nor comment. However, you were incredibly enthusiastic and hilarious that I just had to comment on your very entertaining video. You have reignited my passion to bake! Thank you for your well laid out and most gregarious cake it video! Keep up the great work. I’ll be watching again soon. How long do you chill the cake for???? Hope you got the expressed written permission of the NFL to use their logo! J/k. I wish I could do what you do with cake, you're amazing! I wish I was your son bc on his birthday she will get to eat your cake I wish!!!!!!! !